I am facing a problem during the module 6 Lab of the GST102 series. I am trying to construct a network data set using the v.net included in the GRASS Tools. I keep receiving the same error: "Unable to open topology file for vector map "
I tried to rebuild the topology using the v.build, but it didn't change a thing. Does anyone have an idea about what I should investigate? This is easy to fix. Open the PERMANENT map set. Then the old format layers will be converted to the new format and work correctly. Not the answer you're looking for? Browse other questions tagged qgis grass network-analyst topology or ask your own question. Interacting with GRASS GIS vector map topology “level/layers” from terminal/command line? 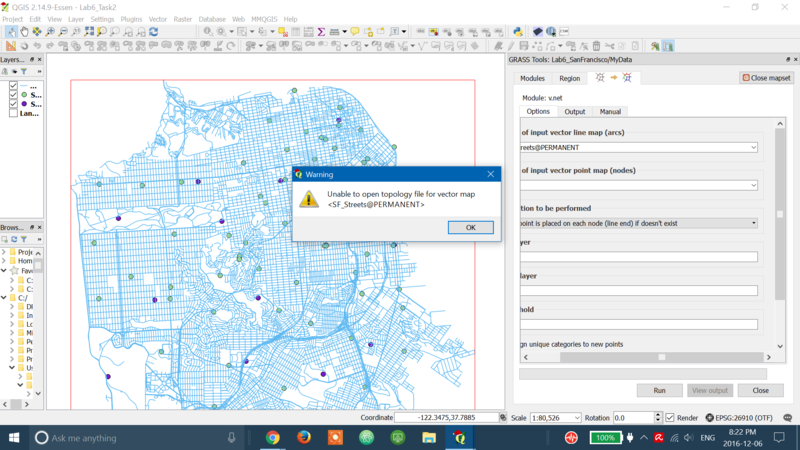 Unable to open shapefile with GRASS GIS? Unable To Clean Incorrect Geometries with Grass? 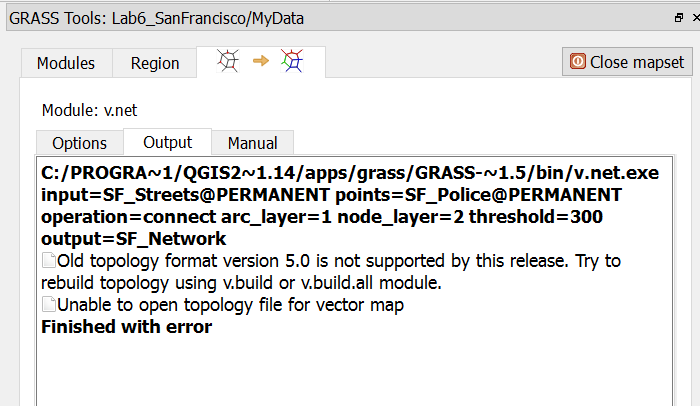 Consistent Errors with QGIS using GRASS tools?